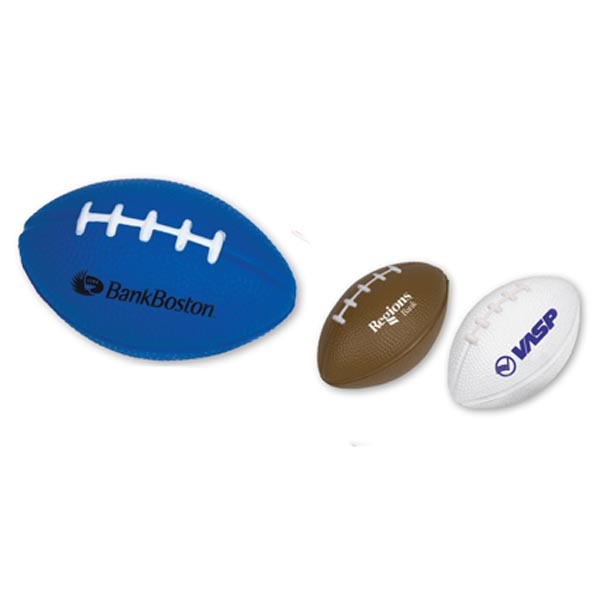 Score a touchdown during your next promotional campaign by handing out this football stress reliever! Measuring 3 1/2" x 2 1/4" and available in several colors, this handy therapeutic aid is made of polyurethane and will make a simple and eye-catching addition to your workspace. A perfect giveaway for stadiums, school athletic programs and so much more, it can be customized with an imprint of your brand logo for maximum exposure. Size: 3 1/2 " x 2 1/4 "